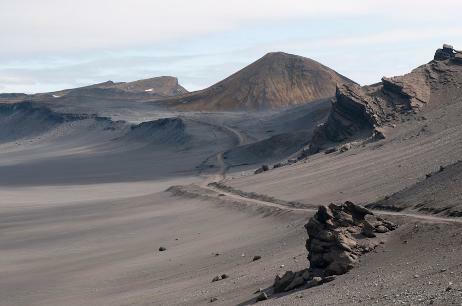 This trip is a rare opportunity to visit one of the world's remotest volcanoes: Jan Mayen. 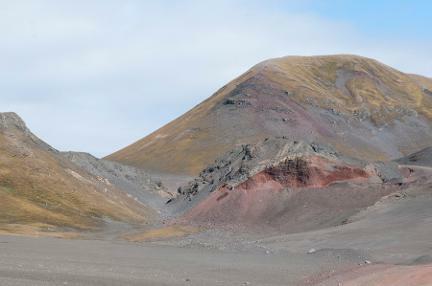 The trip also spends time in the Shetland Geopark and in Svalbard. Most of the time is spent at sea with great opportunities to see whales and sea birds. Day 2 - At Fair Isle, in the Shetlands, we are welcomed by the 70 or so inhabitants (famed for their knitwear, examples of which we will see) to be followed by a walk to the bird observatory. Fair Isle is a haven for sea-birds, which are very accessible. We may also see Grey Seals. 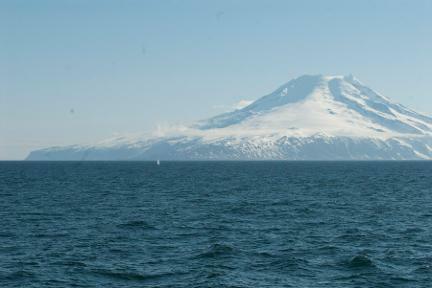 Days 3– 4 - We sail north to the Norwegian island of Jan Mayen, situated 300 nautical miles north-east of Iceland. During our two days at sea there will be plenty of time to watch for the blow of a Minke, Fin or Blue Whale, which could herald a rewarding encounter with these gentle giants. Perhaps we might run into a pod of Orca, who can often be quite curious about boats such as ours. 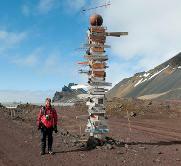 Day 7 - Jan Mayen is a volcanic island of breath-taking beauty and mystique dominated by Mt Beerenberg. 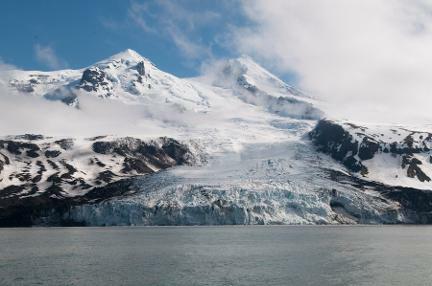 From the slopes of the 2300m volcano, impressive glaciers spill into the sea. Until recently, the island was off-limits as it is a military base, and was rarely visited by tourists, but with permission from the Norwegian authorities we hope to visit the weather station. 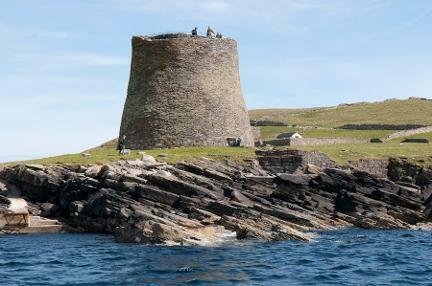 We will also walk across the island to Kvalrossbukta to look at the remains of a 17th century Dutch whaling station and a substantial colony of Fulmar. Days 8 – 9 - In the midnight sun, we sail north along the edge of the sea-ice, looking out for Bowhead Whales, Harp Seals, Polar Bears and a variety of seabirds, until about 79 North, then we will sail west to the edges of the continental shelf off West Spitsbergen, where we have good chances to meet Finn Whales and near the mouths of the big Spitsbergen fjords, Minke Whales. Day 10 - We will look for Walrus at Poolepynten. In the evening we could land at Alkhornet another seabird colony, where at the slopes we can find reindeer and Arctic Fox. Day 12 - We disembark in Longyearbyen, the administrative centre of Spitsbergen, for flights south to Oslo and onward home.